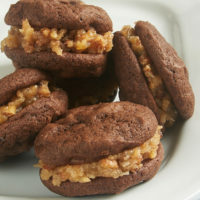 Cream Cheese Peanut Butter Cookies have a lovely peanut butter flavor made even better with the addition of cream cheese. 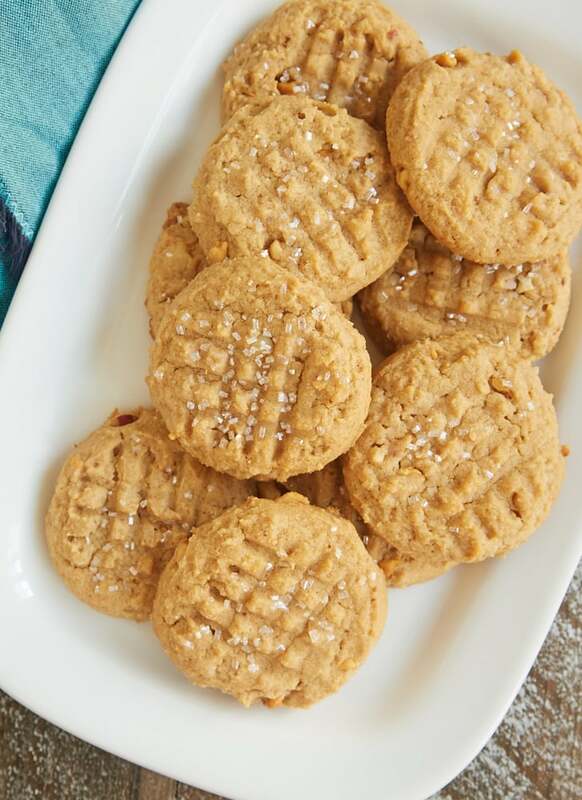 Such a wonderful variation of classic peanut butter cookies! 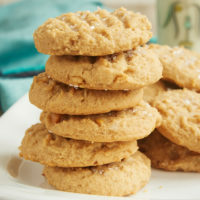 These may look like pretty standard peanut butter cookies, but one bite will tell you that’s not the case. There’s just a little extra something. Something a little richer. Something more flavorful. Yep, it’s cream cheese! I tweaked my basic peanut butter cookie recipe, decreasing the butter and adding some cream cheese. I had done a similar thing with chocolate chip cookies a while back, so I was excited to try a similar twist with peanut butter cookies. And I’m happy to tell you that it was a more than worthwhile experiment. The result is a soft, chewy, irresistible cookie with just a bit bigger, more interesting flavor than the original. If you’re looking for something a little different in the peanut butter cookie category, then give these a try. I can’t resist adding the traditional crosshatch effect to the tops of the cookies. I see that pattern, and I instantly want one of these! Of course, you can certainly make them without that if you prefer. If you do choose to add the crosshatch effect, try dipping the fork in a little bit of flour to keep it from sticking to the cookie dough. Either creamy or crunchy peanut butter will work for these cookies. Just use whatever you prefer. I often like to bake with the crunchy variety for the extra, well, crunch it adds. 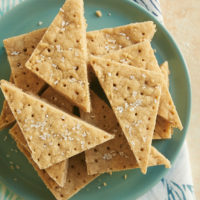 I really love this twist on a classic cookie. It’s not the kind of change that will hit you over the head. Rather, it’s more likely to garner questions like “What’s different about these?” from cookie eaters. Whether or not someone trying one of these cookies can guess the cream cheese addition, they’ll be smitten with the wonderful flavor and the soft, chewy texture. Cream cheese adds a lovely flavor and texture to these irresistible Cream Cheese Peanut Butter Cookies. 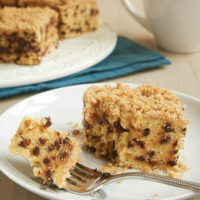 Using an electric mixer on medium speed, beat the butter, cream cheese, sugar, and brown sugar until light and fluffy. Add the egg and vanilla, and mix well. Mix in the peanut butter. Drop the dough by tablespoonfuls onto the prepared pans. Use a fork to make a crosshatch pattern on top of the cookies. * If desired, sprinkle the top of each cookie with a pinch of sanding sugar. Bake 12 to 15 minutes, or until the cookies are lightly browned. Cool on the pan for 5 minutes. Then transfer the cookies to a wire rack to cool completely. *Dipping the fork in a little bit of flour will help keep it from sticking to the dough. I am so making these tonight! I’m going to use the cinnamon peanut butter! These sound fantastic! Thanks for the recipe! These sound amazing! 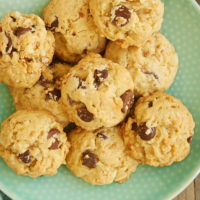 Peanut butter cookies are my personal favorite and while I already have several recipes that yield perfectly delightful cookies, I wanted to try something new. I was sitting here thinking about it when out of nowhere I remembered that I had some leftover cream cheese tucked away in the fridge so I added it to the search bar and *BAM!!!! * there it was! Thank you so much for sharing this. I am heading in to the kitchen now to make a batch. TIP: You can dip the fork into sugar rather than flour when pressing cross hatches into the dough. Just grease the bottom of the fork by pressing it into the dough in the bowl, then dip into the sugar, and then press the cross hatch into the top of the cookie. Continue until all cookies are classically cross hatched with the perfect amount of sugar. You may need to grease the fork as needed if sugar does not stick to the fork. We always rolled the dough into little 1″ balls too rather than dropping from tblsp. It won’t change the flavor of course…But it sure does bring back warm memories of my dear mom…As well as my childhood joy. I wish she was still here and I miss her deeply but I am sooo blessed to have all the wonderful memories she gave me just by being with me and patiently teaching me how to make all of our family favorites, each with just the perfect amount of love. I hope you enjoy the cookies, Dorrinda! Peanut butter cookies are a nostalgic favorite for me, too. I have several sizes of scoops I would like to use in place of table spoons. What size would you recommend? Hi, Denis. If you’re referring to the sizes of dishers or ice cream scoops, the number on those is representative of how many scoops of that size would fill a quart. I believe the closest to a tablespoon is 60. 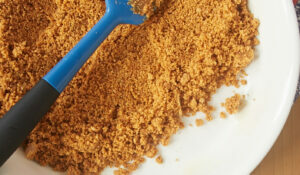 I use this 1-tablespoon scoop. I sprinkled a pinch of sea salt on top. Really made the flavor pop!! Sounds like a perfect addition! Just tried these we with nutella, instead of peanut butter. They were amazing! I’ll have to try that variation, Alisha! I <3 Nutella! Loved these! I did add chocolate chips, because of course, everything is better with chocolate! I will be making these again! Has anyone used organic peanut butter? It is much more runny than regular. I haven’t, Louann, but I often find that thinner peanut butters don’t perform as well in baking recipes that require a good amount of peanut butter. Thank you. If I decide to try it , I will let you know. I did try the organic peanut butter, Jennifer. They baked perfectly, however, it was very greasy to work with the dough. Thanks for sharing your experience, Louann! Hi, Leslie. I’ve not tried freezing them, but I would guess that it would be fine. Have you ever used whipped cream cheese for these cookies? I don’t think I’ve ever used whipped cream cheese at all, actually. I don’t think it would substitute well. I’d stick with traditional brick cream cheese for baking. I made these & added 2/3 cup of mini chocolate chips. My grand daughter & everyone else loved them. Used a medium scoop & made 3 dozen cookies. Will be making these again. I’m glad they were a hit, Pamela. I can’t believe I’ve not yet tried these with chocolate chips! Highly recommend! Very easy to make and very tasty! I added choxolate cbips and reduced temp to 340 and baked for about 10.5 minutes. I’m on my 9th cookie since the last batch came out of the oven. These are soft and delicious! My kids loved them. Can you make batches of these and freeze them? Hi, Lynn. I’ve not frozen them after they’re baked, but I think they’d be fine. Hi, Theresia. I usually use just a normal store-bought peanut butter. Natural peanut butters will likely work, too, although often not quite as well. 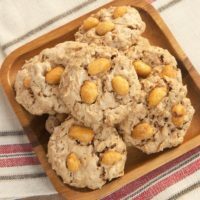 How can we replace egg in these peanut cookies. Please suggest the perfect substitute as am waiting to make the same. I’ve never tried substituting the egg in this recipe, so I can’t give speak from experience. I have read that you can use 2 tablespoons of water plus 1 teaspoon of vegetable oil plus 2 teaspoons of baking powder in place of 1 egg. Again, I’ve not tried that myself. Look up “flax egg” for a substitute. I think it’s 1tbsp ground flax seed and 1tbsp water, but the ratio could vary. Flax egg is the vegan substitute for eggs. It’s supposed to work really well. I’ve never tried it, but I know lots of vegans that use it. I guess it would come in handy in a pinch when you don’t have access to eggs. My schedule is crazy this week but I’m making these as a Christmas gift for someone. Do you think I could make the dough ahead of time and refrigerate until I’m ready to cook them? Hi, Andrea. You can make the dough a day or two in advance. Just keep it tightly covered in your refrigerator until you’re ready to bake. You may need to let the dough sit at room temperature for 5 or 10 minutes so it’s easier to scoop. Do these have to Refrigerated because of the cream cheese? No, they’re fine in an airtight container at room temperature. These were delicious! I made these for a friend who loves peanut butter cookies and she just loved the taste and texture. Definitely a keeper. I made these 2 weeks in advance and froze them. You would never know. That’s great to know, Lynn! These were nice and soft, but not as peanut buttery as I was hoping. Maybe next time I will decrease the butter and use more peanut butter. I also rolled the balls in regular sugar then did the cross hatch, no fork stickage. I used a tiny scoop (abt 1/2 oz) to make smaller cookies. 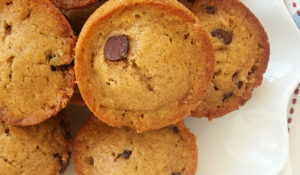 Can you make these with coconut flour or another flour? I am trying to stay away from wheat flour. 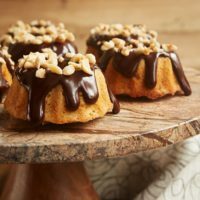 These look amazing and I really want to try them. Hi, Kim. I’ve not tried these cookies with a non-wheat flour, so I can’t say for sure. If you have one you like, I’d recommend referencing the manufacturer’s guidelines for substitution. My kids and i tried it just now. It was really great! Love it. Can ot be kept in fridge? Thank you for the recipe. You don’t need to refrigerate the cookies. They’ll keep for 3 or 4 days in an airtight container at room temperature. Omg, I love the idea of adding cream cheese! I am a sucker for peanut butter! Absolutely fantastic recipe. Light and fluffy cookie. Not too sweet! Perfection! Thank you!! I’m glad you liked them, Megan! Made these, they were amazing, such a rich flavor and texture but not overwhelming. 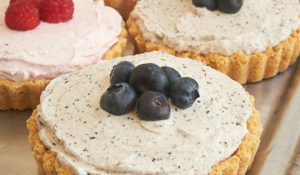 Everyone loved them, definitely bookmarking this recipe!! That’s great to hear, Anastasia! 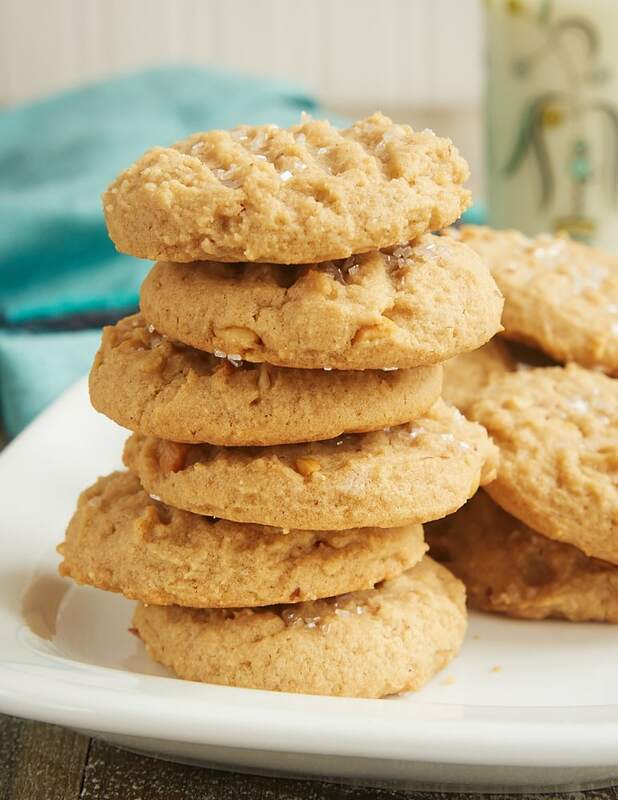 We make SO many peanut butter cookies in our test kitchen – This will be a great tweak to the recipes! Thanks for sharing! I’ve made this recipe a couple of times, using white whole wheat flour and coconut sugar, instead of all-purpose flour and the white and brown sugars. They are a big hit with my office-mates! Thanks for the recipe. My pleasure! I’m glad they’ve been a big hit for you! Hi, Linda. You might look at how you measure your flour. Here are my tips. Hi, Carol. I don’t bake with margarine, so I can’t give you a definitive answer. In general, margarine doesn’t perform well in baking. This recipe sounds and looks deliciously amazing! 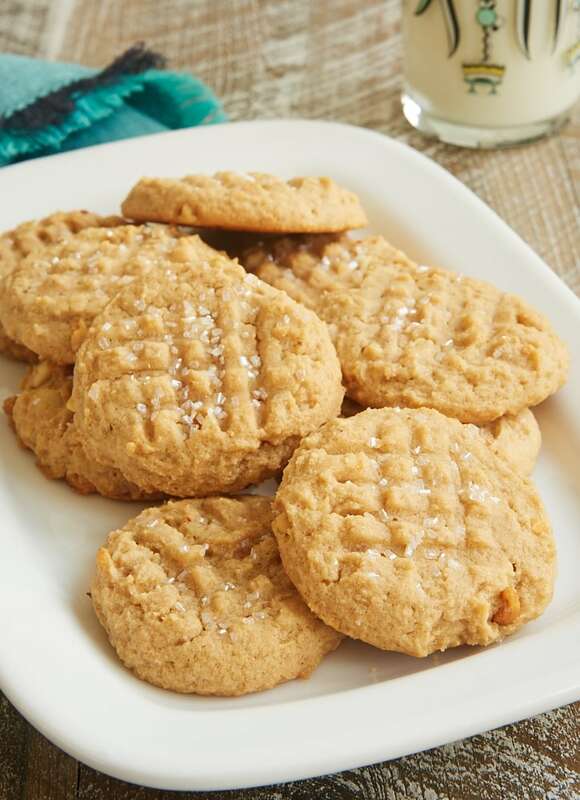 Peanut butter cookies have always been one of our favorites especially growing up. This is definitely something new to try ASAP. I haven’t tried cream cheese with peanut butter before so this will be my first time and fingers crossed, it won’t be the last. Thanks for sharing, Jennifer! Thank you for the awesome recipe! It was a hit with my family! Thank God for kitchen scales and I just recently ordered one weeks ago. I love peanut butter & cream cheese vey very much. I’m prepping to make these cookies right now. So glad I stumbled upon this recipe and can’t wait to see the end results! I made these cookies with my granddaughter. They were the best peanut butter cookies I have ever had. The cream cheese adds just enough creaminess to the texture and the flavor to take these over the top. They were gone in no time flat. I highly recommend this recipe for any peanut butter lover. Thanks for sharing. A definite 5 star cookie. Can most of these recipes be doubled? Thanks, they sound delicious! Hi, Judy. Yes, you can scale this recipe as you like. 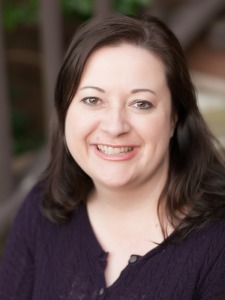 Hi Jennifer: I love peanut butter cookies and really like the idea of adding cream cheese. Because my husband does not like peanut butter, I usually use almond butter. Do you think I could add half almond butter and half sesame tahini because I like the taste of tahini? PS: When I saved your recipe to Pinterest, It did not allow me to include “from Bake or Break” It’s very clear when you open the image that the recipe is from you. I hope this is okay. Hi, Kit. Other butters don’t have quite the same fat content as peanut butter, so there may be some differences in texture and how they spread. Without trying it myself, I don’t know how much they’d be affected, but I think it work okay. Saving a Pin from here should always link back to me, so no worries at all. Thanks for sharing!